The World Boxing Super Series has proven to be an excellent innovation in the world of boxing. In its first year the new annual tournament has thrown up some intriguing matchups especially in the super-middleweight division. 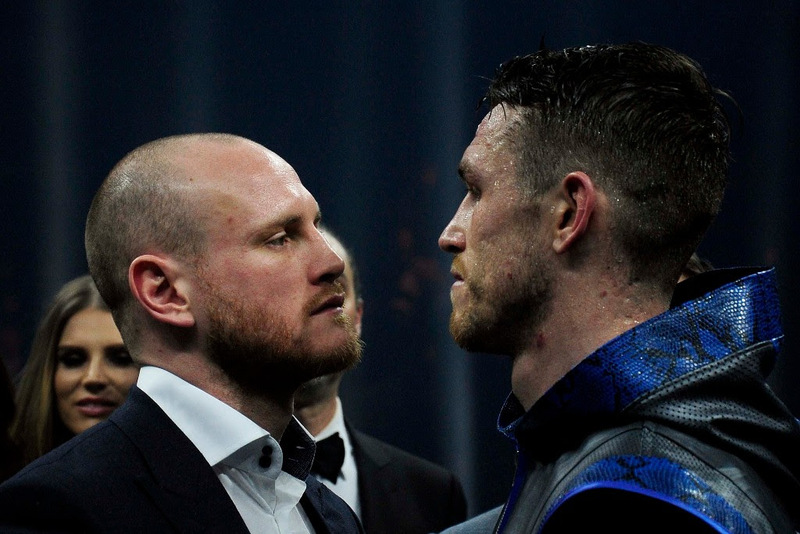 After victories in their quarter-finals and semi-finals, the final was set between George Groves and Callum Smith. However, Groves’ participation in the fight was thrown into doubt after he underwent surgery on his left shoulder which became dislocated in the final round of his win over Chris Eubank Jr. Fortunately, he was granted time by the World Boxing Super Series who postponed the date of the fight until 28 September. The organisers considered a few venues before settling on King Abdullah Sports City in Jeddah, Saudi Arabia. Some fans may be disappointed that this all British fight is not taking place in Britain but that will not matter to the two boxers. 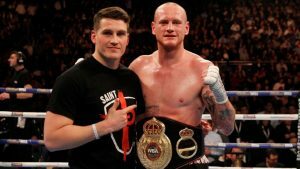 As well as fighting for the inaugural super-middleweight Muhammad Ali Trophy, Groves is mounting another defence of his WBA belt while Smith is having his first crack at a world title. Groves and Smith face off in the ring after the latter’s win over Nieky Holzken. As the odds suggest, this is most certainly a fight that could go either way. As the world champion, Groves is the more accomplished fighter but he said after his win over Eubank Jr that it came down to which fighter wanted it most. It cannot come down just to that against Smith as there is absolutely no questioning the Liverpudlian’s heart. As he’s matured both as a person and a fighter, Groves has really started preparing very well for his fights. The 30-year-old has formed a formidable partnership with his trainer, Shane McGuigan, who ensures that his fighter is well drilled and is a very vocal presence in his corner. They had a good game plan against Eubank Jr and both have suggested that Smith is actually going to prove to easier from a tactical point of view. Smith is the bigger man by around four inches and has enough power to have won 17 of his 24 fights by knockout. Groves will clearly need to be wary about his opponent’s power but Smith is a relatively orthodox forward and it’s that which has the Groves camp so confident. 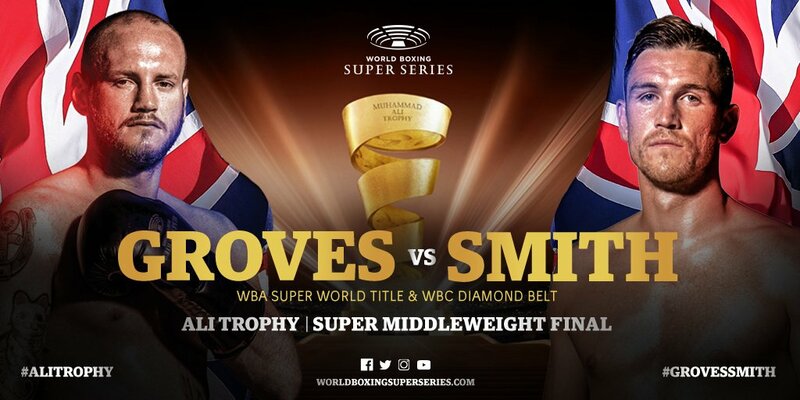 Smith is fully deserving of his shot at a world title but he has unquestionably had the easier route to the super-middleweight final of the World Boxing Super Series. Groves represents a huge step up in class from both Erik Skoglund and Neiky Holzken and providing his shoulder is as healthy as he suggests, the Londoner’s excellent jab, heavy hands and proven ability to go the distance should see him get the win at 5/6 with Paddy Power. Will the Groves/McGuigan partnership secure another big win? Callum Smith came into the World Boxing Super Series on the back of a run of five wins either by knockout or by forcing his opponent to retire. Those wins strengthened the 28-year-old’s reputation as an excellent finisher but he did then go the distance against both Skoglund and Holzken. It would be a real surprise if Smith was able to do enough to knock Groves out in Saudi Arabia but by the same token it’s going to be tough for Groves to hurt his bigger opponent enough for this fight not to go the distance. The bookies’ odds certainly suggest that they are expecting this to come down to the judges’ scorecard and that may spell trouble for Smith. The Liverpudlian has suggested that Groves tires significantly in the closing stages but he himself has a reputation for taking rests in the middle of fights. In such a close fight, Smith is highly likely to lose any round in which he is anything other than 100%. Groves faced similar questions about his stamina before his unanimous points win over Eubank Jr so the 2/1 that Sportingbet are quoting on the Londoner winning on points looks well worth taking. If there is to be a surprise win inside the distance on Saturday night it could well be in the early rounds. Smith is a very dangerous fighter in the opening stages of fights and has a string of first round wins to his name. We think that Groves is going to hack the early pace and go on to win the fight but if you’re looking for a bit of insurance with your betting it could be worth chancing Smith to win in Round 1 at 60/1 with Unibet.